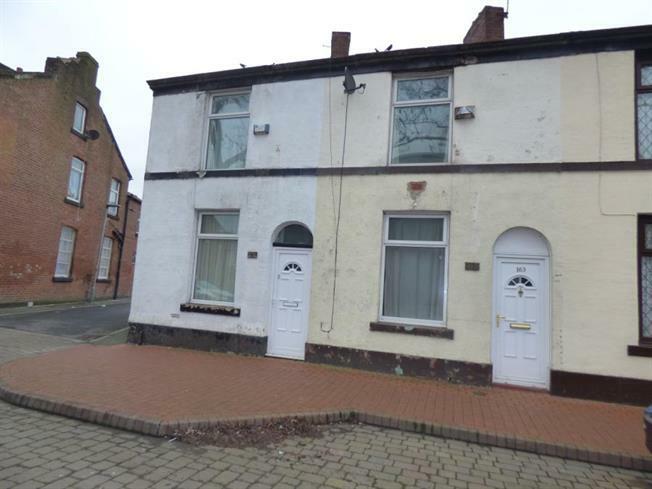 2 Bedroom House For Sale in Bury for Offers Over £75,000. "You gave me a realistic assessment of the current market, and provided imaginative ideas for marketing my property. This was a really refreshing approach"
Entwistle Green are delighted to bring to the market this mid terraced property in the popular Spring Street area of Bury. The property is ideally located within walking distance to Bury Town Centre, shops, amenities and transport links. The property comprises of an entrance porch, lounge, kitchen, two double bedrooms, family bathroom and enclosed yard. The property is in need of modernisation and available with no onward chain. Early viewing is advised! Mortgage lenders have their own affordability criteria. That's why it's important that you speak to one of our Mortgage and Protection Consultants from Countrywide Mortgage Services. They will be able to give you information, talk you though your mortgage and protection needs and find the best products for you, using a wide range of lenders and its insurance partners. Entwistle Green is a trading name of Countrywide Estate Agents. Registered Office: Greenwood House, 1st Floor, 91-99 New London Road, Chelmsford, Essex, CM2 0PP. Registered in England Number 00789476. Entwistle Green is a trading name of Countrywide Residential Lettings Limited, Registered Office: Greenwood House, 1st Floor, 91-99 New London Road, Chelmsford, Essex, CM2 0PP. Registered in England Number 02995024 which is an agent and subsidiary of Countrywide Estate Agents, Registered Office: Greenwood House, 1st Floor, 91-99 New London Road, Chelmsford, Essex, CM2 0PP. Registered in England Number 00789476. Countrywide Residential Lettings Limited is regulated by RICS. Countrywide Estate Agents is an appointed representative of Countrywide Principal Services Limited which is authorised and regulated by the Financial Conduct Authority.